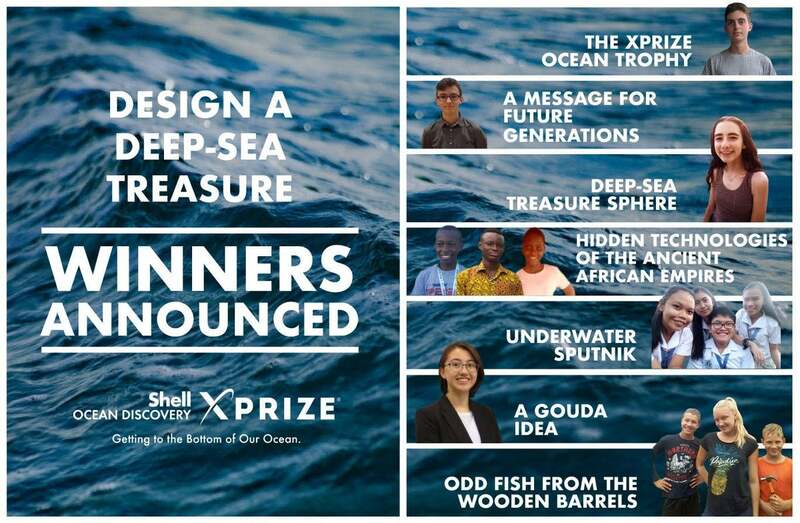 Today, the Shell Ocean Discovery XPRIZE is pleased to announce the winners of the Design a Deep-Sea Treasure challenge. 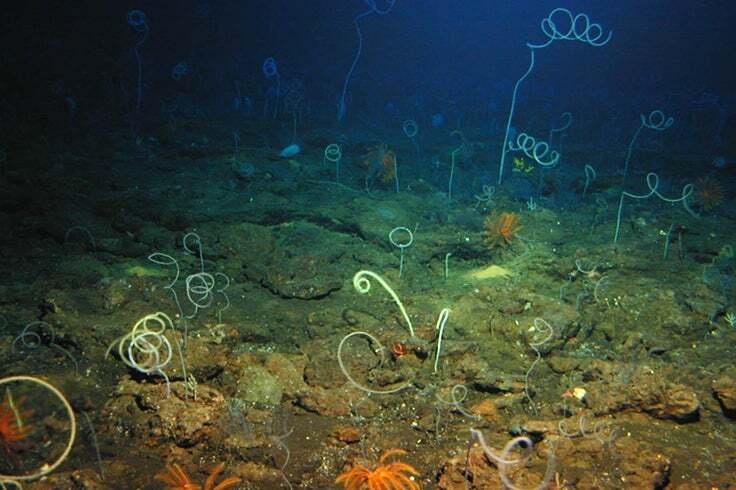 This global competition, run through the crowdsourcing platform, HeroX, asked 12-18 year old students to submit designs of a deep-sea object to be judged against four categories: most inspirational, most creative, moonshot, and environmentally friendly. Judging took place in two rounds. The first round was a public vote, which determined 16 of the 20 semi-finalists (four additional designs were chosen as Wildcard selections). The second round of judging, which determined the winners, was conducted by an expert judging panel involved with the Shell Ocean Discovery XPRIZE. The first place winning design will be incorporated into an underwater object that will be placed at 4000 m water depth as part of Round 2 of the Shell Ocean Discovery XPRIZE competition. 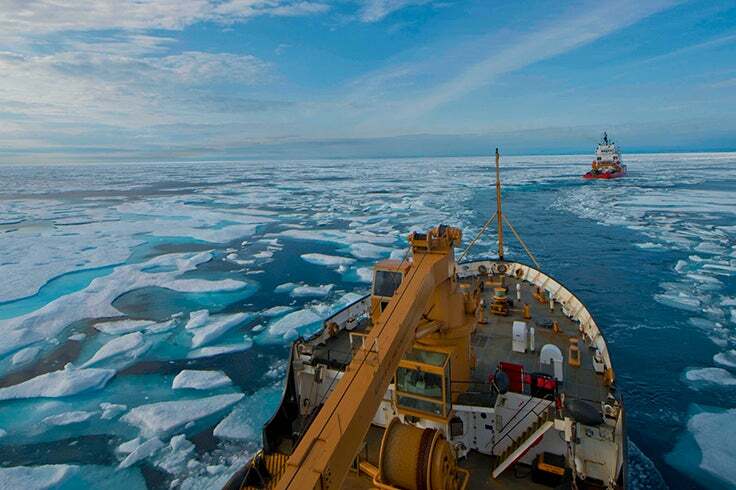 The Shell Ocean Discovery XPRIZE is a 3-year, $7 million global competition challenging teams to advance deep-sea technologies for autonomous, fast and high-resolution ocean exploration. As part of this XPRIZE, the Ocean Discovery XPRIZE Finalist Teams will have to locate and image this object as they map the seafloor with advanced technological sensors and underwater robots. We saw some great creativity arise from this international design competition. 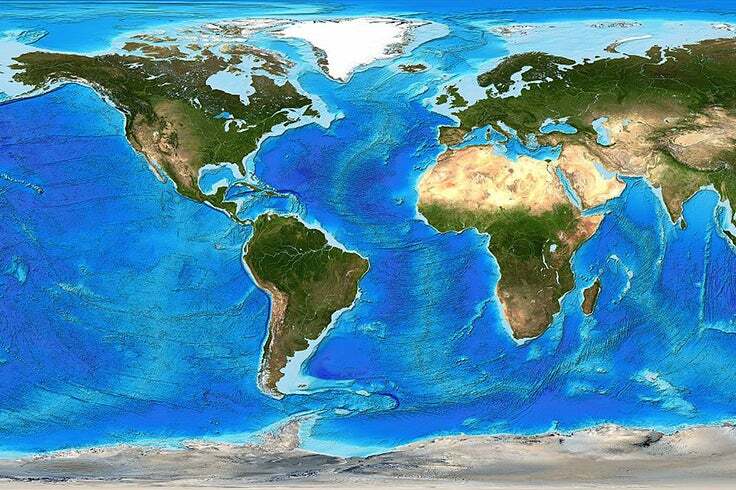 In just four weeks, students from 18 countries all over the world had engaged and were thinking about the mysteries of the deep ocean. Many of the competitors awed us with how much attention they gave to making sure their object was safe for the environment, made of recycled materials, or could serve another purpose as a habitat for sea creatures. We were also very impressed with the thoughtfulness of the designs which incorporated elements of mythology, human exploration, and popular culture. We thank all the participants and hope these bright, young minds continue to be inspired by and be guardians of our ocean. The designs of the winning Grand Prize, the 2nd and 3rd Prizes in each category, and all design concepts submitted for the challenge can be viewed at www.herox.com/design-a-deep-sea-treasure. Congratulations to the winners and their schools. We look forward to taking the winning team’s imagination and bringing it to life in the next couple of months.